From Smartphone to Smart home to Smart Car our world is now surrounded with innovative gadgets and technologies which make our everyday life easier. Along these lines, car technology is. even evolving with the same pace. Yes, we do understand the budget of upgrading your car to make it smart is comparatively too high. But this cannot stop us from upgrading our car folks, right? Fortunately, there are a bunch of useful alternatives that can make your car smarter than ever. We’ve compiled a list of these 6 gadgets that can make your driving experience much more better with tech. Dash is a special adapter for your car that enables you to easily access data about your vehicle’s health and past history. The gadget comes with an app support as well which allows you to monitor various information like fuel consumption, engine health etc. regarding your car’s performance. To use Dash, you’ll need to buy an OBD-II Scan Tool. You’ll find various kinds of scanners in the market that can be linked with Dash app. Although, the prices may vary as per specifications. Dash is a great gadget for your car even for long term perspectives. You can easily monitor your car without having to visit service station again and again for little or complex issues. No matter how much of a pro you are in flaunting your driving skills, but when it comes to rear parking it’s no piece of cake. A rear parking camera is a must for every car to save yourself from hitting blind spots or stepping on anything. The Pyle Car Backup Camera is great way to upgrade your car for safety and ease of parking. Some cars don’t support Bluetooth functionality, so we rather have to use Aux cables or USB ports for listening to music. Don’t be disheartened guys! Here’s a easy way out to enjoy Bluetooth functionality in your car. Just buy yourself TaoTronics Bluetooth Receiver and enjoy hands free calling and music playback in no time. Satnav allows you direct navigation based on satellites, and looks pretty cool too! The Garmin DriveLuxe 51 is one of the highest spec sat navs out there. It offers a bunch of useful features including updated maps and traffic reports, along with live parking information so you always hit the right parking spot to park your car nicely and safely. Use this trendy gadget in your car to leave an everlasting tech savvy kind of impact in front of your friends and family. Guess it’s time to replace your boring car stereo with this advanced looking gadget. The unit offers voice control via Apple Carplay and Android Auto, touch screen controls, and some powerful equalizer functions for the keen music fan. The device also acts as a rear parking screen helping you to park right without hitting it or the other cars around. Last but not the least comes the amazing Hudway Glass for your windshield. This gadget is like that futuristic device, offering every feature imaginable without requiring you to look away from the road. The device gets linked with your Smartphone and then displays everything that runs on your phone over the windshield of your car. It’s a cool way to make your car look expensive and futuristic at the same time, isn’t it? 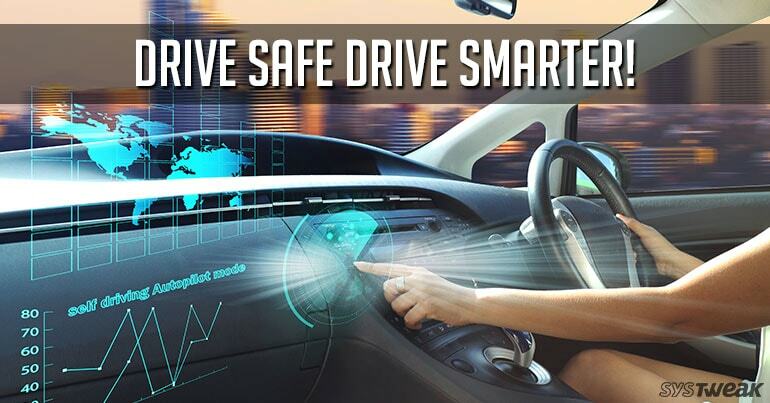 Here were the 7 amazing gadgets that can make your car really smart. Do let us know which one you liked the most!